Our faculty speaker was super engaged with the group. He made a special effort to have dinner with all of us individually and was always available for questions and discussion. His lectures were informative and interesting. 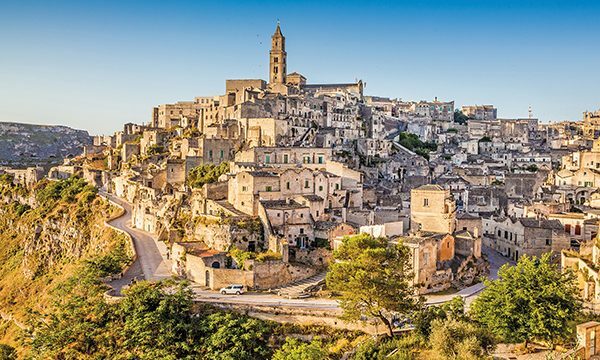 Experience life in Italy’s southern region of Apulia, where views of the sparkling Adriatic Sea vie with picture-perfect towns for your attention. 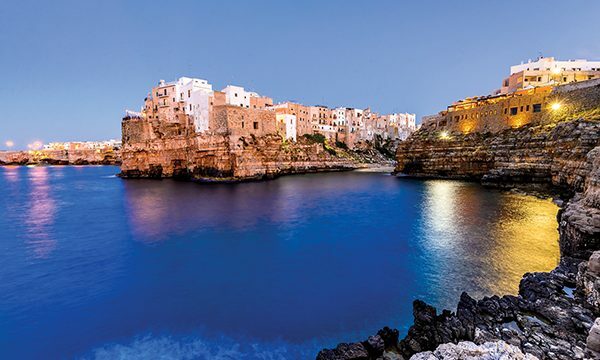 Spend seven nights in seaside Polignano a Mare, and venture out each day to discover the unique character of this region. 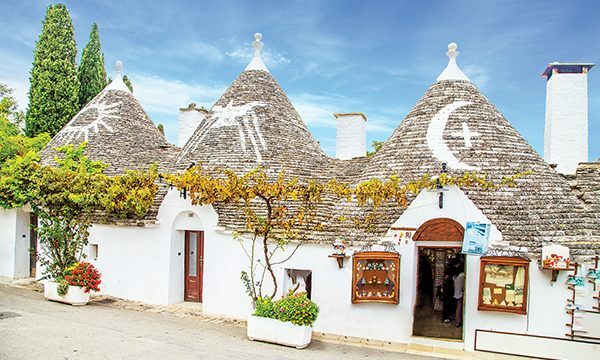 Marvel at Alberobello’s trulli, conical-roofed limestone homes built without mortar; Sassi, ancient cave dwellings in Matera, a 2019 European Capital of Culture; the white hill town of Ostuni; and the baroque city of Lecce. 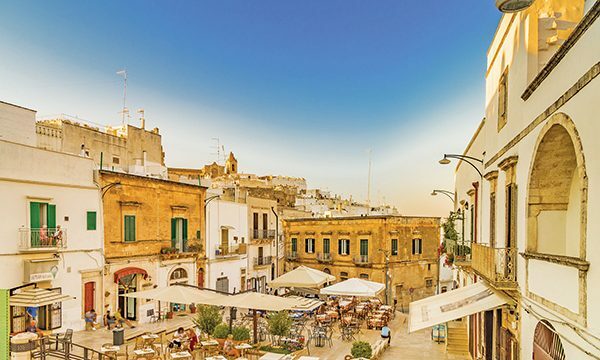 Contrast the seaside lifestyle of Bari and Trani with the inland at a winery and a family-owned olive mill. An exclusive lecture series complements your excursions. Plus, enjoy ample free time to stroll down romantic cobblestone alleys, drink in soul-stirring views of a brilliant blue sea and revel in the slower pace of life in this heart-warming region. This program offers no single supplement for solo travelers and is limited to only 28 travelers! Activity Level: Moderately active. All participants should be in good health. Daily programs could involve 2-3 miles of walking, including city streets and historic neighborhoods where footpaths may be cobblestoned and uneven. Cost: $3,095 per person. Save $250 per person when booked by May 21, 2019. 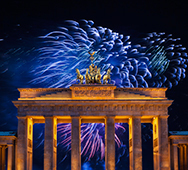 Contact us for more information, or call Smith Travel at 800-225-2029. Please read our terms and conditions and other important information.